Which Work of Fiction Should Our Interns Pre-read? instead. I am in the minority. 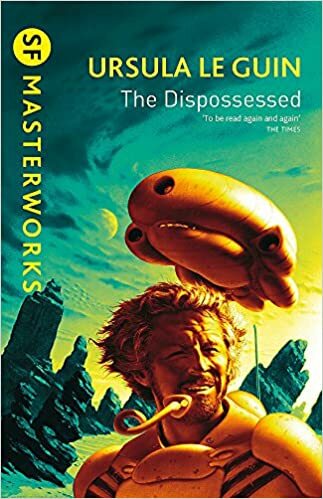 In fact, most of my team believes that science fiction is a useful pursuit because it spurs the imagination and sets goals for what communities and technologies can accomplish. The classic example is that the folklore that the communicator from Star Trek inspired the mobile phone. With a view of a future full of possibilities, we have a reading list in mind for our soon-to-be-on-board summer interns. We are considering giving them a homework assignment before they arrive. Here are the books that we are considering. The descriptions and images are from Amazon.com where you can buy the books. 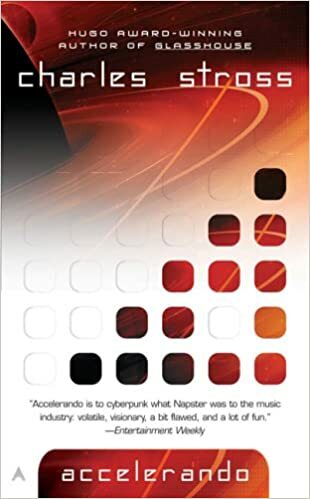 "The Principle of Simultaneity is a scientific breakthrough which will revolutionize interstellar civilization by making possible instantaneous communication. It is the life work of Shevek, a brilliant physicist from the arid anarchist world of Anarres. 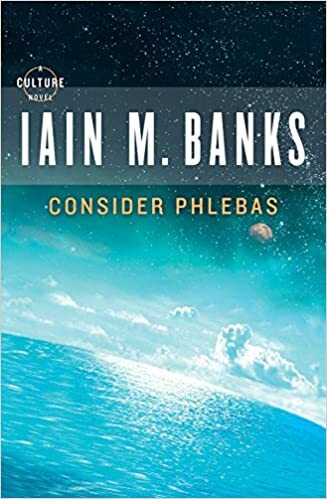 But Shevek's work is being stifled by jealous colleagues, so he travels to Anarres's sister-planet Urras, hoping to find more liberty and tolerance there. But he soon finds himself being used as a pawn in a deadly political game." 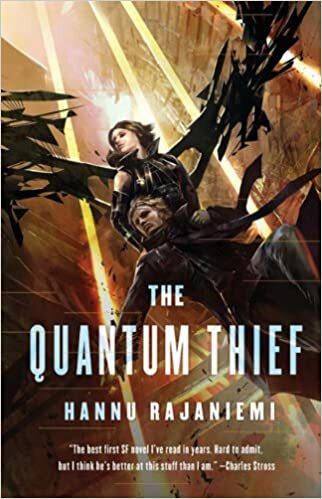 "When a murdered woman is found in the city of Beszel, somewhere at the edge of Europe, it looks to be a routine case for Inspector Tyador Borlú of the Extreme Crime Squad. To investigate, Borlú must travel from the decaying Beszel to its equal, rival, and intimate neighbor, the vibrant city of Ul Qoma. But this is a border crossing like no other, a journey as psychic as it is physical, a seeing of the unseen. As the detective uncovers the dead woman's secrets, he begins to suspect a truth that could cost him more than his life." 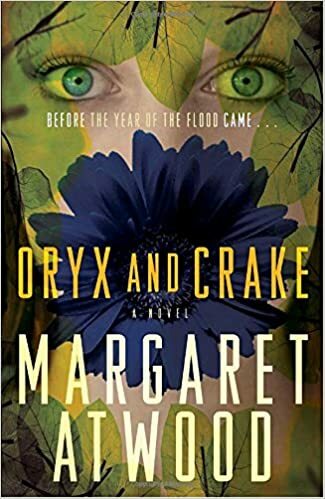 "Oryx and Crake is at once an unforgettable love story and a compelling vision of the future. Snowman, known as Jimmy before mankind was overwhelmed by a plague, is struggling to survive in a world where he may be the last human, and mourning the loss of his best friend, Crake, and the beautiful and elusive Oryx whom they both loved. 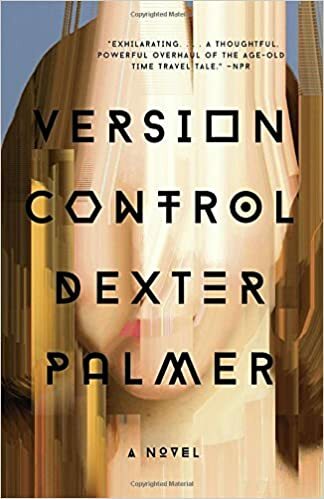 In search of answers, Snowman embarks on a journey–with the help of the green-eyed Children of Crake through the lush wilderness that was so recently a great city, until powerful corporations took mankind on an uncontrolled genetic engineering ride." 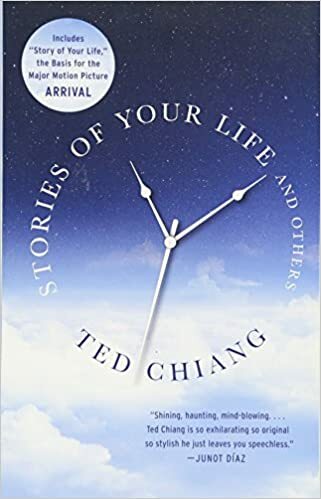 "Stories of Your Life and Others delivers dual delights of the very, very strange and the heartbreakingly familiar, often presenting characters who must confront sudden change — the inevitable rise of automatons or the appearance of aliens — with some sense of normalcy. 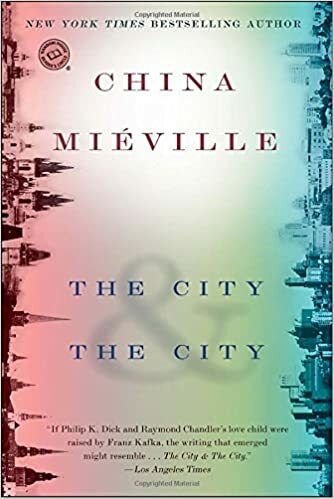 With sharp intelligence and humor, Chiang examines what it means to be alive in a world marked by uncertainty, but also by beauty and wonder." 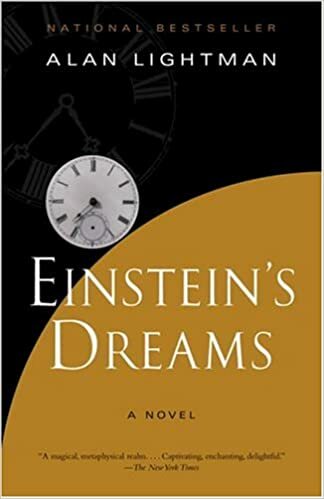 "Einstein's Dreams is a fictional collage of stories dreamed by Albert Einstein in 1905, about time, relativity and physics. As the defiant but sensitive young genius is creating his theory of relativity, a new conception of time, he imagines many possible worlds. In one, time is circular, so that people are fated to repeat triumphs and failures over and over. In another, there is a place where time stands still, visited by lovers and parents clinging to their children. In another, time is a nightingale, sometimes trapped by a bell jar." "Although Rebecca Wright has pieced her life back together after a major tragedy, she can't shake a sense that the world around her feels off-kilter. Meanwhile, her husband's dedication to his invention, "the causality violation device" (which he would greatly prefer you not call a time machine) has effectively stalled his career — but he may be closer to success than either of them can possibly imagine." "Cayce Pollard is a new kind of prophet — a world-renowned 'coolhunter' who predicts the hottest trends. While in London to evaluate the redesign of a famous corporate logo, she's offered a different assignment: find the creator of the obscure, enigmatic video clips being uploaded to the internet — footage that is generating massive underground buzz worldwide." "The use of computers to aid the architectural designer and urban planner is already beyond the experimental stage and part of the workaday routine of many professionals. There are, for example, machines that transform two-dimensional drawings into three-dimensional perspective displays and others that check myriad aspects of a design against specifications and tolerance requirements. 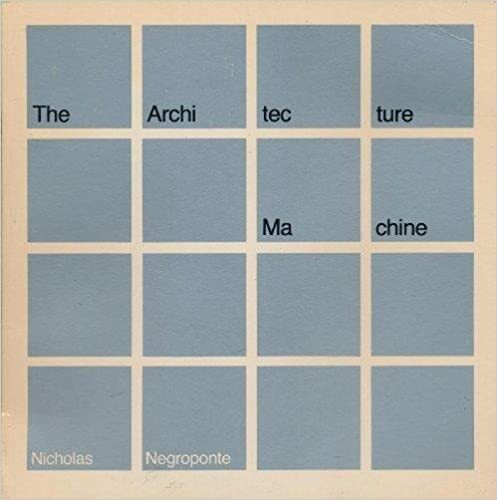 The Architecture Machine looks several machine generations ahead of these to a future in which genuine man-machine dialogue is achieved, when man and machine will act together on something closer to equal terms toward a common goal, each contributing his-its own characteristic faculty." 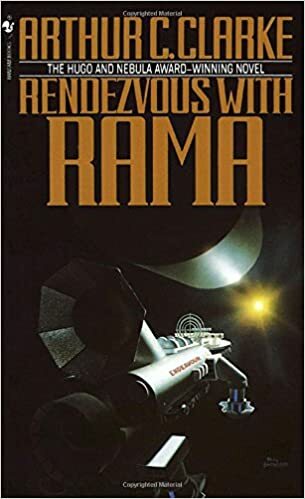 "At first, only a few things are known about the celestial object that astronomers dub Rama. It is huge, weighing more than ten trillion tons. And it is hurtling through the solar system at inconceivable speed. Then a space probe confirms the unthinkable: Rama is no natural object. It is, incredible, an interstellar spacecraft. Space explorers and planet-bound scientists alike prepare for mankind's first encounter with alien intelligence. It will kindle their wildest dreams... and fan their darkest fears. For no one knows who the Ramans are or why they have come. 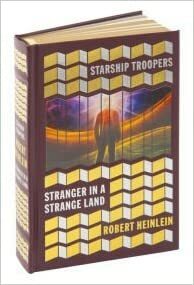 And now the moment of rendezvous awaits — ljust behind a Raman airlock door." "A recruit from the future goes through a very hard boot camp in the Universe and into battle with the Terran Mobile." "Raised by Martians on Mars, Valentine Michael Smith is a human who has never seen another member of his species. 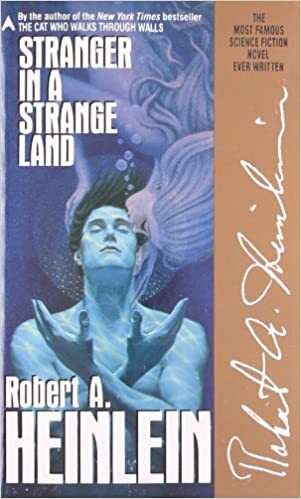 Sent to Earth, he is a stranger who must learn what it is to be a man. But his own beliefs and his powers far exceed the limits of humankind, and as he teaches them about grokking and water-sharing, he also inspires a transformation that will alter Earth's inhabitants forever..."
"A vivid, surprising portrait of the civic and economic reinvention taking place in America, town by town and generally out of view of the national media. A realistically positive and provocative view of the country between its coasts." "The war raged across the galaxy. Billions had died, billions more were doomed. Moons, planets, the very stars themselves, faced destruction, cold-blooded, brutal, and worse, random. The Idirans fought for their Faith; the Culture for its moral right to exist. Principles were at stake. There could be no surrender." 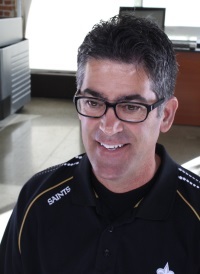 "The Singularity. It is the era of the posthuman. Artificial intelligences have surpassed the limits of human intellect. Biotechnological beings have rendered people all but extinct. Molecular nanotechnology runs rampant, replicating and reprogramming at will. Contact with extraterrestrial life grows more imminent with each new day." 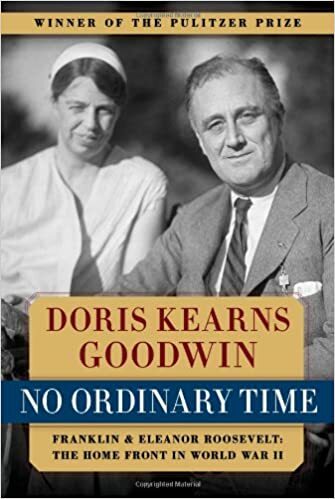 "With an extraordinary collection of details, Goodwin masterfully weaves together a striking number of story lines — Eleanor and Franklin's marriage and remarkable partnership, Eleanor's life as First Lady, and FDR's White House and its impact on America as well as on a world at war. 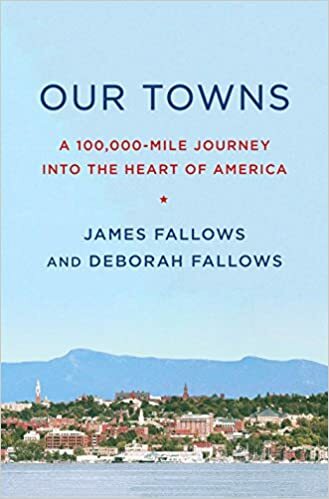 Goodwin effectively melds these details and stories into an unforgettable and intimate portrait of Eleanor and Franklin Roosevelt and of the time during which a new, modern America was born." "Jean le Flambeur is a post-human criminal, mind burglar, confidence artist, and trickster. His origins are shrouded in mystery, but his exploits are known throughout the Heterarchy — from breaking into the vast Zeusbrains of the Inner System to stealing rare Earth antiques from the aristocrats of Mars. Now he's confined inside the Dilemma Prison, where every day he has to get up and kill himself before his other self can kill him." Which one of these would you pick? 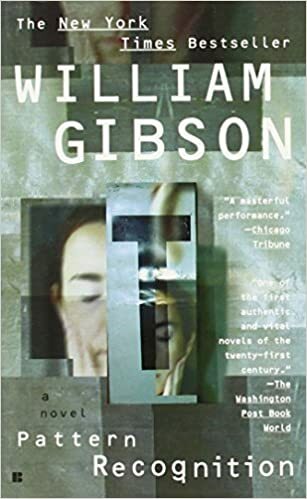 Alternatively, what books have you read that depict a future worth pursuing? Let us know at [email protected]. Fundamentalism is alive in the lab.